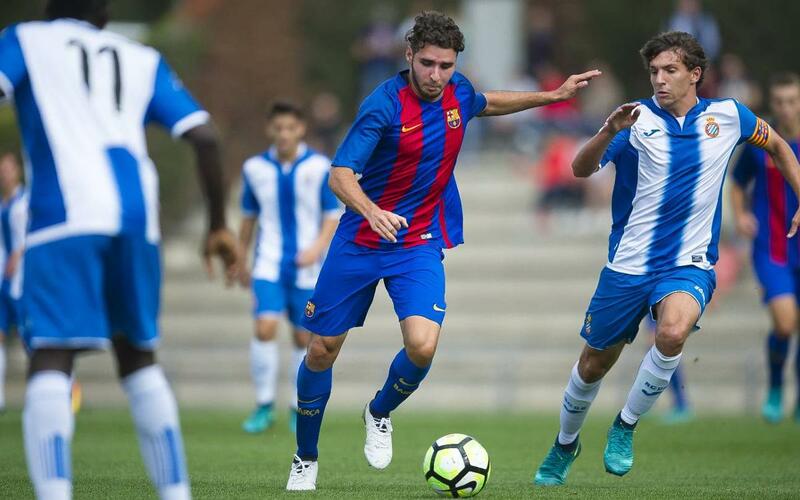 After six and seven games respectively, both the FC Barcelona U19 A and B teams are top of their leagues, the Division of Honour in the case of the former and the National League in the case of the second team. Gabri García’s A team are already five points clear at the top of the table with six wins out of six and an 18-3 goal difference. Last weekend, they beat second placed Espanyol 4-1, which goes to show just how much they are dominating the category. Korean Seungwoo Lee is the league’s top scorer with four, while his team-mate Mboula is just behind with three. They’re also going strong in the UEFA Youth League after a 2-1 defeat of Celtic and a 3-1 win at Borussia Mönchengladbach. Swiss striker Guillemenot scored in both those games. Quique Álvarez’s B team are also running away with their division in the build-up to their own derby with Espanyol B on Wednesday 12 October at 12.00pm CET. They currently have the same 18 points as Cornellà and Lleida, who have both played one more game. The U19 second team have a 100 per cent record so far, having scored 17 goals and conceded just two.